Team up with NERF and the NFL! 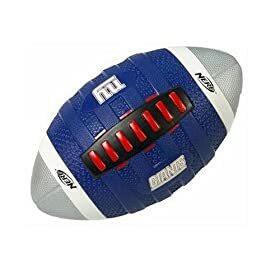 This licensed football is emblazoned with one of your favorite NFL teams’ emblems and colors so you can get your game on just like the pros. The special PRO GRIP texture is specially designed for better throwing and catching, helping you and your team pave the way to victory. below. Contest ends on 25th September, 2008.